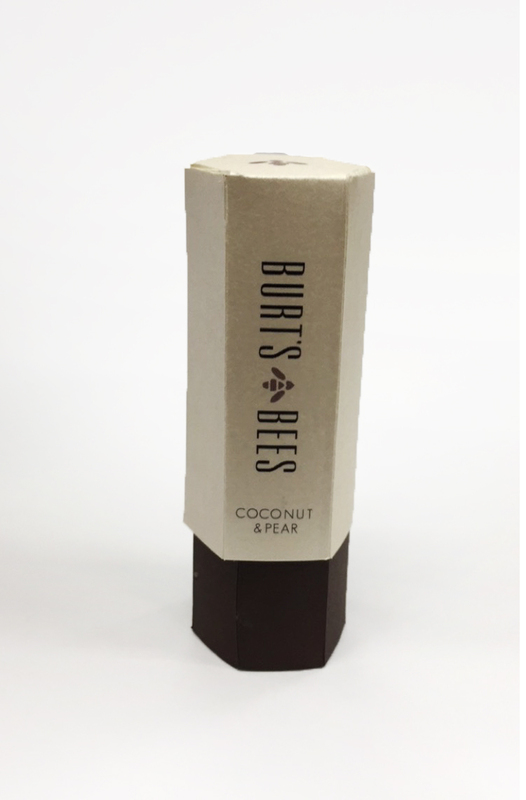 A modern more sophisticated version of Burt's Bees lip balm. This redesign includes a sleek twist on/off cap with the new logo vinyl cut to give a timeless and elegant aesthetic. The target audience is fashion forward individuals who keep up with the latest beauty product trends. The packaging is a hexagon shape tube that the sleek lip balm slips nicely into.